If you wish to obtain an autographed paperback direct from S. Amaranthine, please send e-mail request to: author@samaranthine.com for more information (allow 48 hours for reply). Book 1 of the trilogy. Great reading for beach or comfy curl-up. Hard copy is highly recommended. The trilogy is meant to be enjoyed over multiple readings. As you revisit The Vencello when exploring the other books in the series, Cetapiens and Orcasekai (Memoirs of a Lost Universe), it may be easier to refer forward or back with paperback. Read below or click here to visit the IndieReader.com review webpage of The Vencello in a new tab on your browser. Using omniscient narration, author S. Amaranthine is able to take us–not just inside the heads of her human characters, but the heads of the whale characters as well. Her well-researched insight into what the world of whales looks like—or, more importantly, sounds like—helps seemingly abstract scenes make sense of how the story unfolds. It’s the whale characters readers can turn to in order to find definitive answers about the larger story, because they perceive things so differently than the human characters. The drawback to this story is that since Amaranthine deals in very strange concepts, it can be a challenge for readers to follow along with what precisely is happening. But even in these places, what’s lost in the details doesn’t leave the reader lost in the narrative. For example, readers may never quite understand how exactly Brough and Param, the two oldest sperm whales in the world, share their knowledge with each other. Yet why they do this and what conclusions they draw from this exchange are as plain as a whale breaching the surface of the ocean. The human and cetacean characters have parallel motivations and their ultimate goals mirror each other. Delora, a human, and Akenehi, an Orca matriarch, both suffer great losses and are eager to change their circumstance. Delora wants to go backwards, to “time travel” to fix her problems, but Akenehi wants to jump-start her species further evolution to protect her clan in the future. Similarly, Liam, a human, and Brough, the younger of the two ancient sperm whales, are trying to understand what is happening between Delora and Akenehi. Whereas Brough fears what an alliance between the two greatest predators to his species—Orca and human, in that order—Liam wants to gain his understanding by being a part of whatever is happening. At its core, this story is a lyrical exploration of love and loss, hope and despair, and the ultimate connection we share to our universe. The messages present in Amaranthine’s story are not preachy, but carefully ingrained into the arc of the characters’ stories, so that readers are able to draw their own conclusions about what those messages might be. While this is the first book of a trilogy, it’s excellent as a stand-alone story that will send readers back to the front page for another read-through. 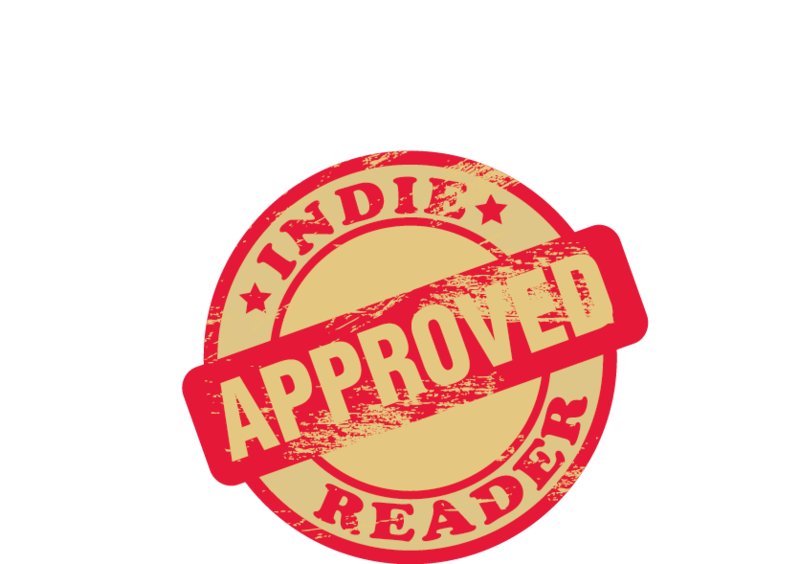 IR VERDICT: A surreal-but-linear story that blends science-fiction, fantasy, and myth in a lyrical, literary style, THE VENCELLO both rewards readers with a great story and challenges their preconceived notions about life. When S. Amaranthine graciously sent me a copy of her book, “The Vencello” I never expected it to reach into my soul. It’s just a small book (the first of a trilogy) that will take you on a journey that you will never expect. Humans, Orcas and Sperm Whales in a convergence fighting for that illusive goal we call Freedom! The Freedom to live on this planet. It is absolutely clever and exquisitely written. It will take you on an emotional journey, all the while maintaining your awareness of how perfectly aligned we are to other species. The book comes at a perfect time in an imperfect world ~ showing us there is hope. Ms. Birnhak’s review as posted 3/5/18 on Facebook (FB) : LOYALTY ~ I’m going to write a few posts today about this topic. Outside of NYC I’ve found the most loyal people (to a cause, a person(s), a pet, et al) to be here on FB. In NYC creative people abound. In my building on W. 55th Street most of us were in some form on the entertainment business. When you put your very soul into a story, a concept, it can take years to get it right. It might take even more years to finance it and get a distributor. Knowing and being around people of a similar mindset is a gift. I loved the movies but in a million years never thought I would “make that jump”. One movie put me on the right track ~ “My Brilliant Career”. That brings me to the segue on to my next post. My NYC neighbors were a gift ~ they supported everything I did ~ screenings, music events, openings ~ they were every discipline but they came. And, in kind, I supported all of them. Today, I’m going to reach out and support an amazingly gifted woman here on FB. When S. Amaranthine graciously sent me a copy of her book, “The Vencello” I never expected it to reach into my soul. It’s just a small book (the first of a trilogy) that will take you on a journey that you will never expect. Humans, Orcas and Sperm Whales in a convergence fighting for that illusive goal we call Freedom! The Freedom to live on this planet. It is absolutely clever and exquisitely written. It will take you on an emotional journey, all the while maintaining your awareness of how perfectly aligned we are to other species. The book comes at a perfect time in an imperfect world ~ showing us there is hope. Read below or click here to visit the seriousreading.com review webpage of The Vencello in a new tab on your browser. The Vencello is the first part of a trilogy based on a unique concept by S Amaranthine that builds a connection between human beings and the Creatures of the sea. Not just this, the book also discusses topics that connect to the philosophy of the universe such as music, specie dependence, family, love and the fact that we are all connected to the universe in a similar way, no matter which specie we belong to. The story is narrated by someone who isn’t human and she has the ability to travel through time and space with her grandmother. And in the book, they are travelling in a realm called as ‘Vencello’ by their people. With strong characters from three species- Humans, Orca and the sperm whale, the author builds foundation on what the three species have in common such as love, family, and the universe. There is so much love that it may even transcend the universe and there is a clear bond between families that the readers will like to relate to. Not just this, it is also the story of two mothers mourning for the loss of their child, and how we tend to understand those people who have pain similar to ours. It is also about forgiveness and how it could completely transform your life. And it is also about hope, because it’s what really matters in times of pain and loss. There is so much to learn from this book, it will take your mind and your energy to another level altogether. The Vencello also discusses the mysteries of the becoming of the universe. Whether there are multiple universes, or whether it is only the one we live in… but the Vencello still describes and connects us to no matter how many universes there might be. If you are looking for a book that has an interesting and unconventional narrative but also makes you think about the big ideas about life then this you can’t miss this book. S. Amaranthine takes readers on a thoughtful journey of three intertwined lives as they experience life’s greatest tragedy – and then an unexpected triumph. If you love cetaceans and believe that the ocean holds mysteries beyond our comprehension, this is the story for you! The Vencello is a surprise. The story is lovely, and compelling, stark yet soothing. Inspired yet wholly believable. From unbearable loss, to characters open enough to receiving sacred guidance from beyond our usual physical world, the story beckons with its mystical intensity and the cross-species empathic journey of whales and humans. Reading it, you have to wonder if Cetacea sent key messages for humanity direct to Amaranthine. You have to wonder, in fact, if they’re reaching out to others & our collective society as a whole. Read it and decide for yourself! The Vencello by S. Amaranthine is a thought provoking adventure of love, loss, fear and joy, intertwining these emotions amongst humankind and the aquatic world. A story of two mothers who have experienced tragedy and loss of a child, are joined as one and are able to achieve insightful perspective on each other’s loss, hopes and dreams of reuniting with their loved ones. Each chapter provides in depth pieces of the continuing stories of the characters from different worlds, which encourages the reader to stop and ponder each situation and leaves the reader anxious to move on to the next chapter! The in depth description of characters, their surroundings and their lives and the history which led them to this point teases the reader to want to know more about the journey and what the future holds for these two worlds coming together as one. With the help of a sperm whale, the two grieving mothers are able to begin to achieve an unexpected exultation! The Vencello pulls on your heartstrings while taking you on a journey of the bonding of two mothers from different species both mourning the losses of their offspring. The book is told from a unique perspective in which the narrator switches each chapter allowing readers to get to know each character on a deep and personal level. Telling the story in this way is genius when having multiple species being the main characters in the book. Dive into the ocean with S. Amaranthine for a unique sci-fi novel that will expand your knowledge and imagination of underwater mysteries. My daughter purchased this book for me. I don’t usually read science fiction, so I’m not able to judge this story against other books. However, I really enjoyed the stories within the main story, and I look forward to the next book in the trilogy. I did learn a lot about Orcas, Sperm Whales, the oceans, and the people who study them. The best part was the way the intertwining stories of each species explained their viewpoints and skills, and kept me interested, then built up to the end. Rising from the depths of despair, two mothers grieve the death of their beloved sons. The catch is that these mothers are of different yet both higher intelligence species, one is human and the other orca. Then with the unknown assistance of another more intelligence and sentient being, a sperm whale, the three species join forces and happen upon the power of creation! After reading this metaphysical creation story readers come away with a new respect and understanding of the importance of our oceans and the highly intelligent beings which inhabit them. This book, the first of a trilogy, reveled to me the intelligence of the ocean. I appreciate how S. Amaranthine developed a perspective from the whale point of view. I hope this book touches many people as it did me because cetaceans remain unrecognized and unappreciated as we continue to harm their environment. The first book of a trilogy series, The Vencello by S. Amaranthine is a Sci-fi fantasy story about the orca, Akenehi and the human, Delora and a connection that is made between them brought on by the similar tragedy of loosing their son’s on the same day. 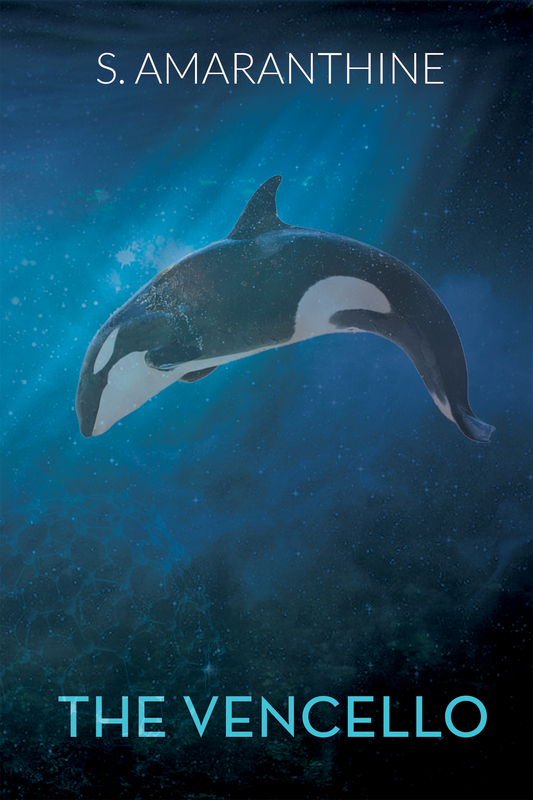 This event brings the orca and human mothers together overcoming their communication barriers and set up an unlikely friendship that could open doors to other scientific advancement and possibilities. But this friendship is viewed as a potential danger to other creatures of the ocean causing the masters of the ocean to closely watch what’s transpiring between their two enemies, but no one is prepared for what actually occurs and the actual possibility of time travel! The whole story centers on the idea of the possibility to time travel but keeps the details on how this is supposed to occur extremely vague and leaves the reader slightly confused about the participation of specific objects with this time traveling process. Its not the official main focus of the story but is mentioned a lot, very quickly in passing. The author writes in third person perspective and while this gives you a better overall image of the characters and the events that are taking place it makes it somewhat hard to relate emotionally how the sub-characters are feeling during an event. Liam, Delora’s boyfriend, is not really fleshed out and you have no real emotional connection with him. He feels more like a secondary support character then a main character, which the author perceives him to be. The main characters are well written and easier to relate to and it’s easier for the reader to feel more connected to them. The chapters are long but broken up into which character the author is focusing on discussing, This helps the reader focus on where the story is taking place, whether in water or out and which group of characters the reader is to pay attention to. Sadly the character Brough, the sperm whale is possibly the most daunting part of the story to read because of the authors overly extensive, wordy description of Brough’s concern and real lack of participation with the other characters, making it somewhat hard to keep the readers attention after a while during his parts of the story. Hopefully he will have a larger part to play in the upcoming books. Overall the story is well written and the main characters are well shaped though possibly overly floral, whimsical in description. The dialogue is smooth and natural and there are very little grammar mistakes. The author seems to have extensive knowledge on the subject matter of orca etc. The main story is pretty solid with only some minor holes in the subplots, which leaves you with questions that are not fully answered until later in the book, but this has no real impact on the main story itself. The story The Vencello was an interesting read, which keeps the reader suspenseful as to what is really going on yet leaves a lot of questions unanswered leaving it open for the second book in this upcoming trilogy.